It&apos;s been 2 weeks since Ast&apos;s little announcement. He is an amazing boyfriend. He takes me out once a week, it would be more but he has to do his job. I can&apos;t believe this all started with a visit to London on a bus to see my best friend. Look where I am now. Living with my best friend, living in London and I have 3 new friends who are in my favourite boy and a boyfriend in it too. Oh crap. Better start getting ready. I threw my hair into a pony tail, showered and threw some random clothes on. It didn&apos;t look that bad. I grabbed my phone and ran down the stairs to the posh hallway. Standing just outside was my adorable boyfriend. It felt good calling Ast my boyfriend, it felt right. "Ast!" I called. He ran to me, picked me up and spun me around and hugged me tight. "You look absolutely beautiful! Don&apos;t anyone tell you different." he said and kissed my cheek. "Aw, you charmer." I said as I chuckled. "So where is my handsome boyfriend taking me?" I asked taking hold of his strong hand. "Well, how does seeing your mum sound?" Sorry did I just hear him right? He will take me all the way to Norwich to see my family. "Really? You&apos;d do that for me?" I asked. "Course. I love you and would do anything for you." he replied. We arrived at my old house. I could see shadows through the window, but one not familiar. I stepped out the car and Ast came next to me and took my arm, like he knew something was wrong. We cautiously made our way to the door. "I don&apos;t think you should go in." Ast said, his grip getting tighter on my arm. He pushed me lightly away from the door. He let go of my arm and knocked the on the door. A very rough voice shouted "Who is it?" Aston turned to me and gulped. He finally said "Its Maria and Aston. Maria&apos;s Jenny&apos;s daughter and I&apos;m Maria&apos;s boyfriend." 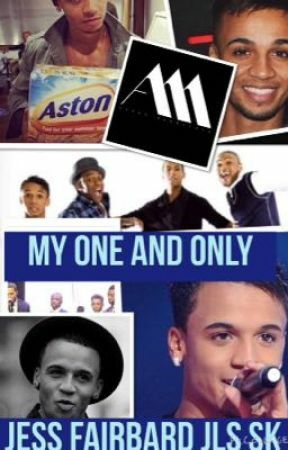 This time, I took hold of Aston&apos;s arm. Suddenly, the door unlocked to my mum. "Oh mum." I cried letting go of Aston&apos;s arm and hugging my mum. "Jenny, who was that man?" Ast asked, concerned. It was nice to know he cares for my family. "No one dear. Come in, come in." she said but I didn&apos;t believe her one bit. "Where&apos;s Katie?" I asked looking up the stairs. "She&apos;s round a friends." mum said quickly a tear trickling down her eye. The 3 of us sat down. Me next to mum, Ast next to me. I turned to my mum, Ast too and we both said together "Where is Katie?!"